Sleep is crucial to restoring the body’s health and the brain’s functioning—but, too often, the valuable sleep you need is interrupted by breathing difficulties. Snoring and sleep apnea deprive the brain of oxygen, causing painful, jerking awakenings and broken sleep cycles. Sleeping on your back is more likely to obstruct airways, increasing the likelihood of disruptions, yet it is nearly impossible to control what your body does while you are asleep. 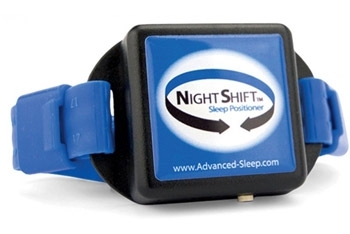 The Night Shift uses vibrations to encourage sleepers to roll off their backs. The Night Shift is an innovative device that, when worn around the neck during sleep, monitors sleeping positions and then vibrates with increasing intensity until the wearer shifts. Through continual use, your body learns to respond to smaller and smaller vibrations and minimizes the amount of time spent on your back or trying to roll there. It waits 15 minutes before beginning its tracking, giving you time to fall asleep naturally in whatever position you find comfortable. While the Night Shift may sound obtrusive, it has been designed for comfort. 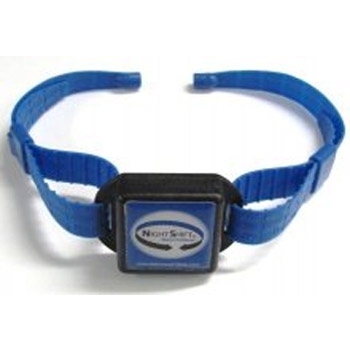 The adjustable neck strap is made of silicone, so it is soft and non-abrasive against your skin. The buckle functions with a quick release magnet, ensuring you cannot be trapped or strangled by the device during the night. The Night Shift technology perfectly times the vibrations to occur immediately after you shift positions; it also notes what level of vibration you respond to and adapts accordingly, using the mildest motion that provokes a reaction. 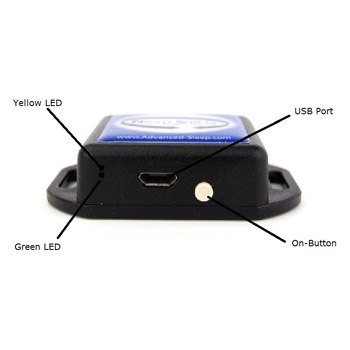 The rechargeable battery lasts up to three nights between charges, and can charge via your computer or a USB wall plug. 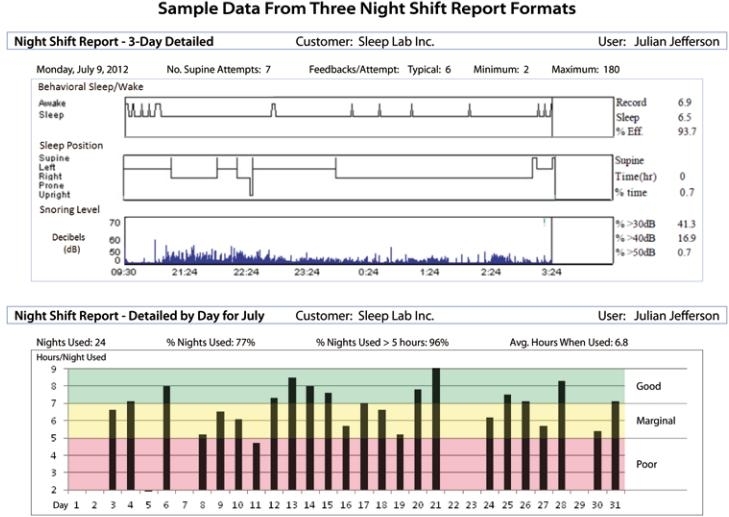 All the information the Night Shift collects is downloadable via the same USB port; from the NightShift website, you can view and print reports on your sleep positions, how loud you snore, and how well you are sleeping. View your personal reports on the NightShift website by day, month, or year, enabling you to learn your sleep habits and see firsthand the difference the NightShift makes. Trials have shown a significant reduction in the volume of snoring and the amount of back-sleeping when using the device. If you suffer from mild to moderate sleep apnea, or snoring that disturbs you and others, the Night Shift is a simple solution to what can seem like an overwhelming problem. Get a full night’s sleep for a more rested tomorrow. Still getting used to it at night, a bit uncomfortable to sleep with, but it is doing the job. I am being woken up when I sleep on my back; however; I quickly fall back to sleep. Easy and fairly comfortable to use. Extremly happy with the night shift positioner. This device is brilliant and has given me such relief. I had tried cpap, bumpers on my back and multiple pillows. Was waking with headaches and no brain every morning. Happy now and don't even register it going off I just turn at the first buzz and don't even wake up. Simple well made and functional device. I have trained myself to sleep on my side. However, I purchased the "Night Shift" as an insurance.